The Palestinian Authority has arrested around 50 militant Islamists in the West Bank. 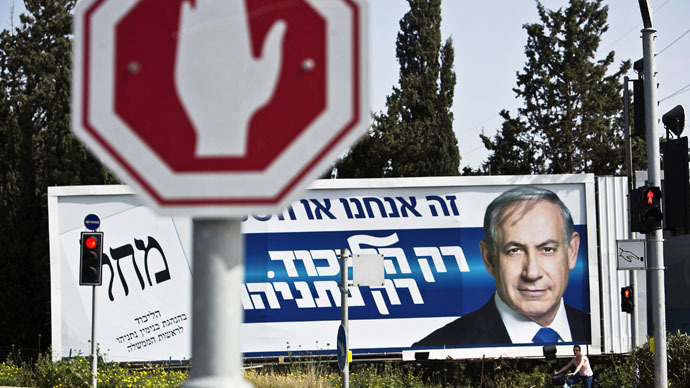 With the Israeli elections a week away, Mahmoud Abbas's administration may fear any terror attack could propel Netanyahu’s Likud party back into power. Security services from the Palestinian Authority (PA) have rounded up around 50 members who belonged to Hamas and Islamic Jihad in the West Bank over the last couple of days. A spokesman for the PA, Adnan Al-Damiri said, “Arrests are made in accordance with the law and not on grounds of political affiliation,” as reported by the Israeli newspaper Haaretz. He added that they were detained for “criminal” offenses, while also accusing Hamas of provoking the PA. The arrests were also confirmed by Israel, with security services saying they were ordered by the president of the PA, Mahmoud Abbas. They added that the majority of those detained belonged to Hamas and were linked to the organization’s military wing. Hamas has been very critical of the PA’s decision to arrest the militants, with senior Hamas official Ismail al-Askar saying the Palestinian Authority was guilty of treason for kotowing to Israel. “The continued security coordination with Israel constitutes national treason by the PA and sticks a knife in the back of the Palestinian people,” said al-Askar, according to Haaretz. There is a precedent for the PA’s fear of terrorist attacks taking place and changing public opinion. The firebombing of a bus in Jericho on the eve of the 1988 election left five Israelis dead and according to Labor candidate, Shimon Peres, cost his side victory. Years after the tragedy he said that the public shifted towards voting for the more hardline Likud Party, which ultimately cost the Labor Party two or three seats in the Knesset. Abbas has publicly stated that the Israeli election does not interest him, though he has given his backing to the Joint List Party, a coalition of mainly Arab parties which has been fragmented in the past. “We welcome the Joint List and wish them much success. This is not interference [in domestic Israeli politics] … it is our right as members of the same nation to [endorse] them,” Haaretz quoted Abbas as saying. Political commentators believe that the Palestinian Authority leader is hoping for anything but a Netanyahu victory. If the incumbent was to win, it would make the likelihood of a Palestinian state almost minimal. “If Netanyahu forms Israel’s next government, Palestine’s foreseeable future will resemble its unbearable present. Europe may escalate economic pressure on Israel, but not sufficiently to bring about the occupation’s end, while at the United Nations the US and Europe might seek to enshrine the parameters for future negotiations in a new Security Council resolution,” said Jamie Stern-Weiner, an independent researcher and co-editor of the New Left Project. Khalil Shahreen, who is a research director at the Masarat think tank in Ramallah, says he believes Abbas is secretly tooting for Isaac Herzog’s Zionist Union in the March 17 elections, as it will be the only way to restart peace talks that have floundered under Netanyahu. “Abbas believes there is no other option than negotiations and that this is the only way to reach a political settlement,” Shaheen said, according to The National, a United Arab Emirates-based newspaper. Herzog has traveled to Ramallah twice in the past two years to meet with Abbas. One Palestinian official, who asked not to be identified, was quoted by the Gatestone Institute as saying: "Unlike Netanyahu, Herzog and Livni do see President Mahmoud Abbas as a peace partner. This is already a good sign that they are planning to adopt a completely different policy." In a recent interview with the Jerusalem Post, Livni stated that Abbas "was once a terrorist, he isn't anymore,” while she also has not ruled out the possibility of dividing Jerusalem and is willing to make "far-reaching concessions" for the sake of peace. Netanyahu, who is seeking re-election in the March 17 poll, said that his past support for a Palestinian state was irrelevant, despite backing the proposed plan when he was elected to power in 2009. “In the situation created in the Middle East, any territory that will be evacuated will be taken over by radical Islam and terrorist organizations supported by Iran,” Netanyahu said Sunday, the Jerusalem Post reported. “Therefore, there will not be any withdrawals or concessions. The matter is simply irrelevant." These comments were backed up those of Hossam Zumlot, a senior foreign policy adviser to Abbas’s Fatah party. “With Netanyahu, our alternative has been the international track and we achieved a great deal,” The National reported Zumlot as saying. “The worst of the worst scenarios for us is an Israeli government that continues the status quo while conveying to the international community it has a different agenda." With the election only a week away, Netanyahu’s recent controversial speech in front of the US Congress has given him a slight lift in the polls. A Dialog poll by the Israeli television station, Channel 10 found that Likud would gain two seats in the Knesset, tying them with the center-left Zionist Union, led by Isaac Herzog, on 23 seats. The poll also asked which of the two candidates would be fitter to become the new prime minister, with 44 percent in favor of Netanyahu and 35 percent opting for Herzog, the Jerusalem Post reports.